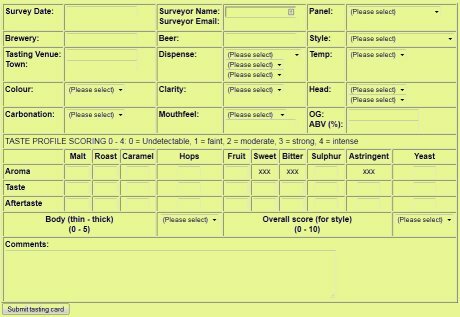 Due to spammers, the tasting card has been moved to the Southern Hampshire CAMRA website, where it is protected behind the CAMRA national login system. Please click the tasting card below to go to its new location. © 2019 CAMRA Ltd. All rights reserved.